Tokyo Narita is probably one of the most widely known names among those who go to Japan, since it is the main airport of Japan for international and long-haul flights, very few people know Narita town instead, the town near the airport which gave it that name. From the main railway stations of the town (JR Narita and Keisei Narita), the main and most interesting attraction is Naritasan Park (Naritasan Koen), you can get there on foot from both the stations walking for about 1 km, along a tourist street, full of small shops selling souvenir and traditional products and restaurants. 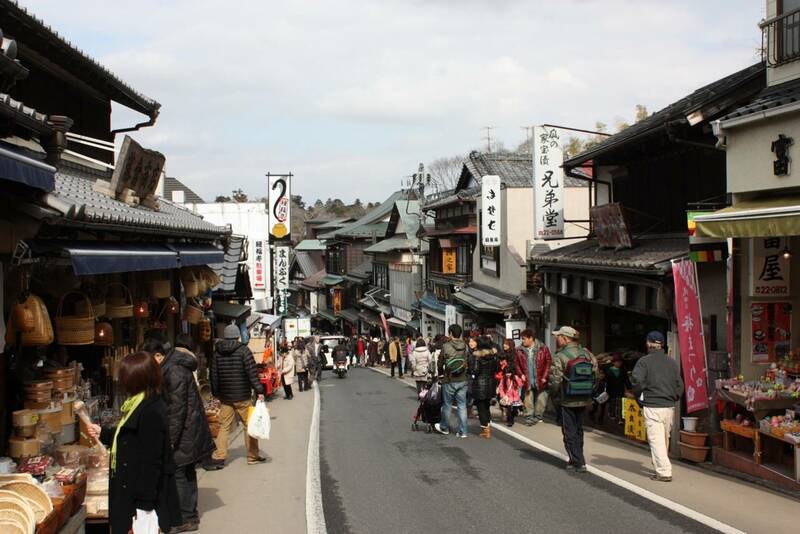 In particular, a street called Omotesando is very nice, but it is very popular among tourists so prices are a bit high. The whole area, and the city in general, is quite accustomed to deal with foreigners, Narita is in fact very popular both among tourists who spend their last hours in Japan before coming back to their country, and by the crews of the numerous airlines serving the nearby airport. A huge park, partly in the Japanese style, partly in western style, in which there are also 3 small ponds, with that magical atmosphere typical of Japanese parks and gardens. In the southern/western area of the park there are many buildings belonging to the Buddhist temple Naritasan Shinshoji. Other minor buildings are scattered throughout the park, in particular the wonderful Great Pagoda of Peace in the north end. 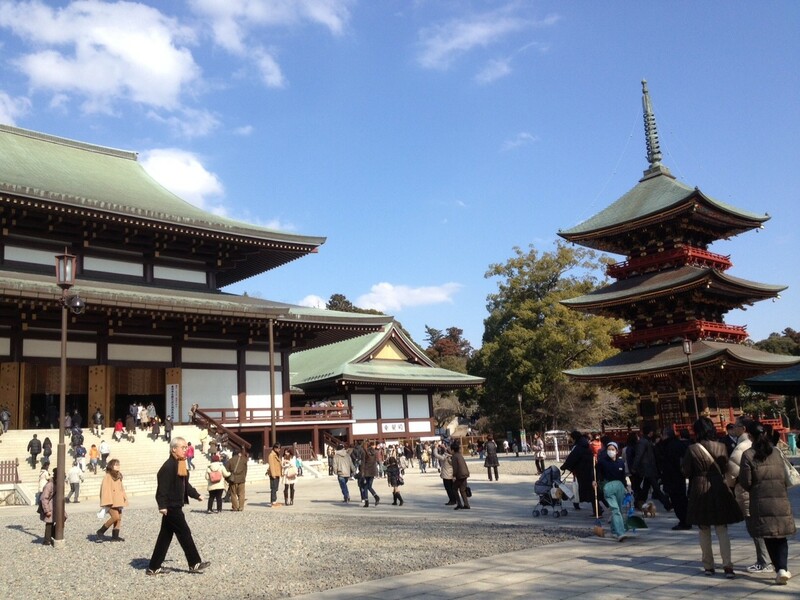 It is a very important temple, visited by millions of Japanese people every year, especially during the new year period. If you planned to go to Tokyo during the Christmas holidays and your return flight is within January 3, you could visit this temple for hatsumode (see New Year in Japan). Moreover, in the northern area of the park there are two small museums, the Naritasan Shodo Museum (closed on mondays, opening hours 9-16, admission 500 YEN), which exhibits mainly works of Japanese calligraphy, and the Naritasan Reikokan Historical Museum (closed on mondays, opening hours 9-16, admission 300 YEN), a museum about the nearby temple and the city of Narita. 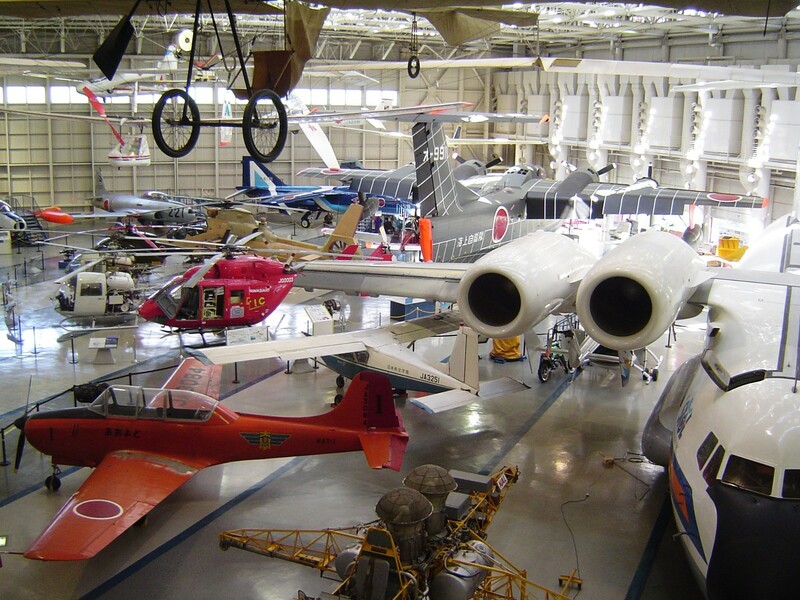 A museum dedicated to the world of aviation. There is an outdoor area which exhibits some small aircrafts, while the indoor area of the museum consists of 3 floors. There is also a structure shaped like a control tower (4th and 5th floor), where there is respectively a themed panoramic restaurant and a reproduction of a real control tower, with a panoramic view over the surrounding area, including the nearby airport and its runways. 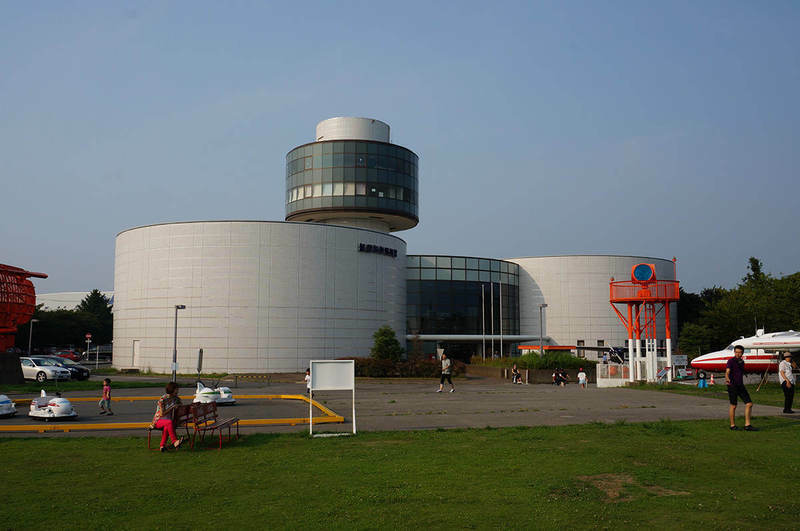 This museum practically borders the south end of the airport, however the passenger terminals are located about 5 km away, so the best solution to get there is by taxi. 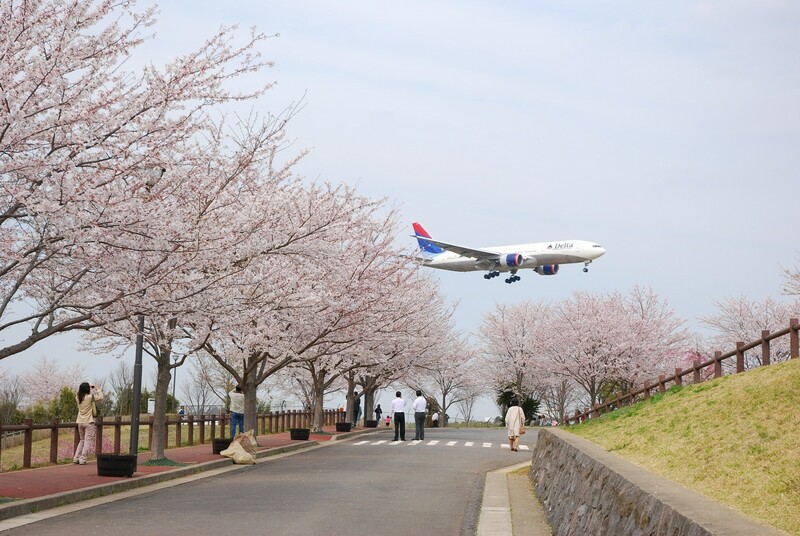 (opening hours 6-23) A hill near the airport, where there is a beautiful park with many cherry trees. From this place you can see and shoot pics of the airport and the many take-offs and landings of aircrafts. A fantastic place for spotters. Unfortunately the only way to reach this place is by taxi (about 3 km from Terminal 2). Perhaps there is also a bus service, but I can not accurately understand this page in japanese (if anyone can, please contact me, thanks a lot!). 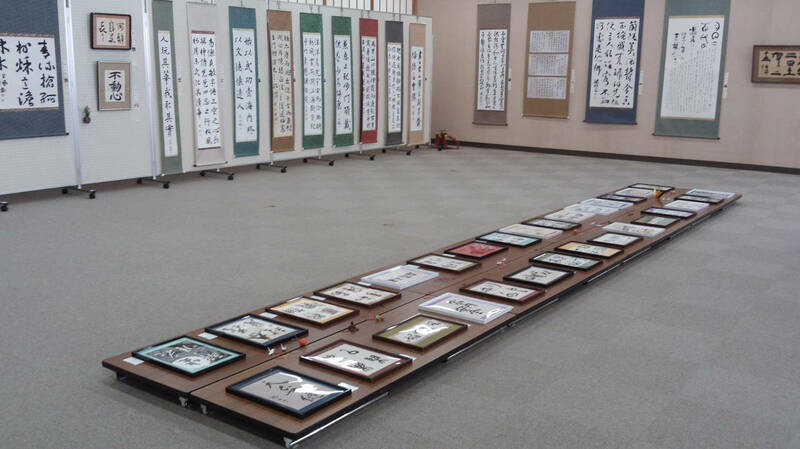 -If your outbound flight to Japan arrives in the evening, perhaps it is better to face Tokyo the next morning and sleep the first night in Narita. A small ryokan just in front of the entrance to Naritasan Park and Shinshoji Temple. If you've been in Japan and you have not slept in a traditional hotel yet, you could spend your last day in Japan at this lovely place in a traditional style. Here you can also try kaiseki cuisine. Business hotel near JR Narita amd Keisei Narita stations, one of the cheapest in the area, it is perfect for an unpretentious overnight stay the first or last day of your trip. Small but clean rooms. Moreover, it offers a free shuttle service to the airport. If you are not interested in the town of Narita, and you just want to spend a night near the airport, due to a connection, a very early flight in the morning, or any other reason, this hotel is definitely the best solution, both for its low rates (from 6000 YEN for a single room, from 7000 for a double), and its position. This hotel is located between Terminal 1 and Terminal 2 of the airport, it can be reached on foot in a few minutes, or by free shuttle. The main stations of the town of Narita are JR Narita station and Keisei Narita station, the first one served by JR and the other by the private company Keisei Railways. The best solution to get to Narita from Tokyo is to use the railway company Keisei, which connects Ueno station (Keisei-Ueno) to Keisei-Narita station (75 minutes, 810 YEN). The JR connects Tokyo station to JR Narita station (fare 1100 YEN) through the Rapid Service of the JR Sobu line. However, I don't recommend this alternative because there are few direct trains (about 1 train per hour, journey time 70 minutes), so you often need to make at least one change (usually at Chiba station). Narita Airport is located very close to the city (about 8 km), so if you want to visit Narita before taking the plane, don't be anxious, for any problem you can immediately take a taxi and get to the airport in 10 minutes. By train, the JR offers approximately one train per hours (12 minutes, 230 YEN), the Keisei one train every 20 minuts (9 minutes, 250 YEN). It may be helpful to consult also the page dedicated to Tokyo-Narita Airport connections.